Constipation is defined as irregular or absence of bowel movement. This can happen due to slow movement of food through the large intestine as more and more water is being absorbed. Lack of exercise, poor diet and some underlying disease or disorder can cause constipation. 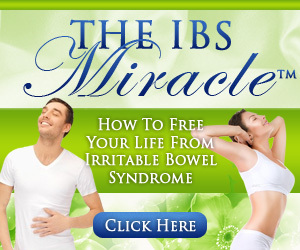 Regular bowel movement, therefore, is essential to prevent this problem. Some people have daily movements while others experience bowel movements only 2-3 times a week which may be their normal baseline. There is a wealth of information that can be obtained from the internet with regards to remedies for constipation. Prescribed or over-the-counter medicines are readily available that can be given once constipation occur. However, some home remedies are effective as well. Chamomile – Chamomile is a popular traditional medicine used as a mild laxative for bowel and stomach problems due to its carminative property (anti-spasmodic) on the gastrointestinal tract. It has soothing and relaxing properties. It is a diuretic and also a gentle sedative that is even safe for use with children. It will help regulate bowel movement in the long run if taken regularly. Fiber – Edible parts found in plants, fruits and vegetables that are indigestible are called dietary fiber. Fiber in one’s diet helps to form soft and bulky stool that is easy to pass through the intestines. Some examples of fiber-rich food include whole grains, cereals, apples, grapes, dried beans, and potatoes. There are also fiber supplements available in the pharmacy but consult your doctor first before taking any of these. Ginger root – Ginger root is a medicinal herb that has been found to have many uses. It is a well-known remedy for upset stomach, nausea, bloating, and indigestion. It also improves the muscle tone of the intestine. Adding ginger tea to the diet during constipation helps to increase colon circulation as well as regulating normal bowel movement. Omega-3 fatty acids – Omega-3 fatty acids are considered “good” fats which are needed by the body for essential bodily functions including digestion. Fish oil is a rich source of omega 3 and can be obtained from salmon, halibut, herring, mackerel, sardines, and tuna. Other sources are flax oil, pumpkin seeds, walnuts, and soybeans. Water – One of the first things to do when constipation occurs is to drink plenty of water. Regular hydration facilitates the flow of food through the intestines and making the stool soft and easy to pass. Although increased fluid intake does not necessarily treat constipation, it helps in relieving discomfort and preventing dehydration. One quick remedy tip is to drink a glass of hot water to stimulate bowel movement. Aside from the things listed above, it is good to note that physical activity is a good way to help relieve constipation. A stroll around the neighborhood or simple yoga exercises can help speed up the movement of the bowel. For chronic constipation, lifestyle and dietary changes may be necessary to prevent recurrence. If the above remedies do not work or severe constipation occurs, it is best to consult a physician.